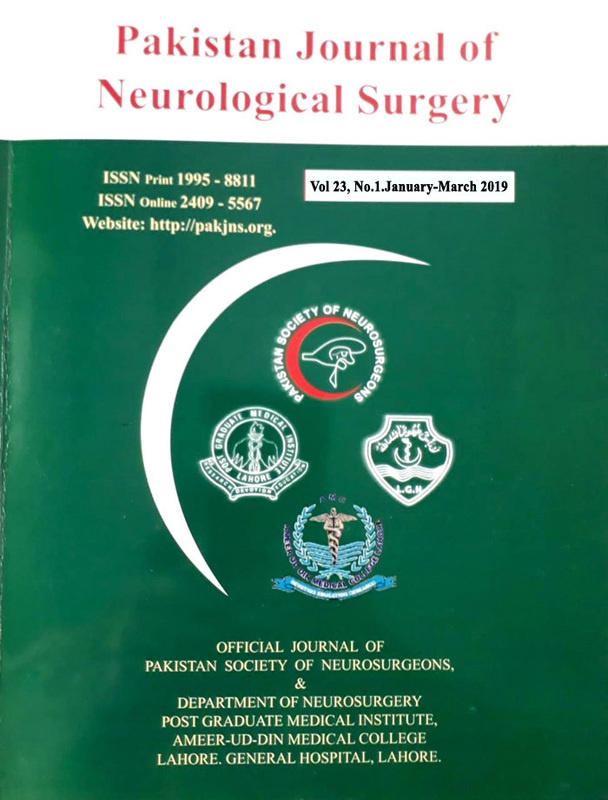 Pakistan Journal of Neurological Surgery achieved multiple miles stones for its upgradation. Now all submission of articles will be via online on our email admin@pakjns.org then it is processed for plagiarism, peer review etc. last 25 Issues are available online now. We hope our readers will benefit from its online website. We had been indexed in multiple International agencies like ISSN France, BASE Germany, Asian Digital, ESJI (Eurasian Scientific Journal Index) and www:citifactor.org. Few more are a process. During the Neurotrauma Conference at Peshawar, PSN had meeting with Mr. Franco Servadei President WFNS. He agreed to provide short term training/visits of PGRs or young Neurosurgeons to the well established centers of the world. PSN is in contact with International Societies and many short term Visits 2/3 Months are available. All young Neurosurgeons/Senior PGRs should avail these opportunities. The International Candidates should apply to PSN Executive Committee VIA Dr. Muhammad Usman Publication. Secretary PSN or President PSN Prof. Salman Sharif. World over there is new concept of making institutes of Neurosciences. Similarly other institutes Like PIC, FIC, MIC (of Cardiology) and Children Hospital are delivering a great service to the patients. The Pakistan Society of Neurosurgeons demands establishment of Neurosciences Institutes all over the country which should be autonomous. PSN Executive Committee had approved a resolution for such Institutes among all Province of Pakistan and one at Islamabad by Federal Govt. of Pakistan. All members of PSN are requested to struggle for multiple neurosciences institutes in the country.